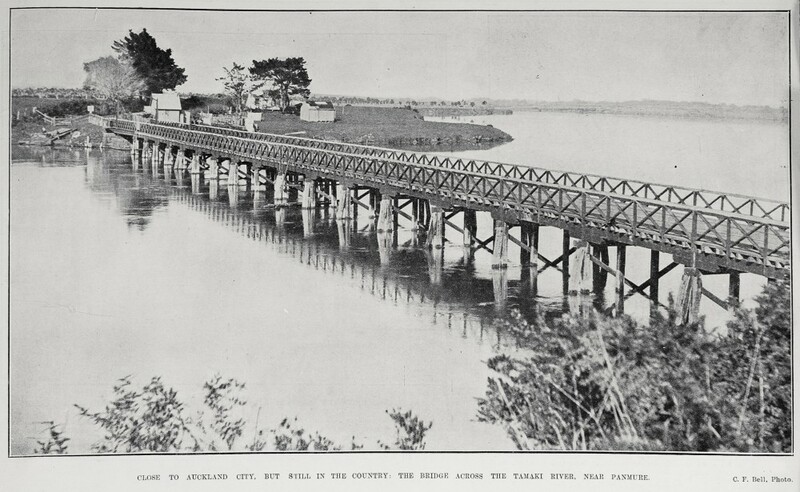 Panmure Swing Bridge has a stable future. One of the council's more unusual heritage assets is currently undergoing maintenance in good time for its upcoming 150th anniversary. 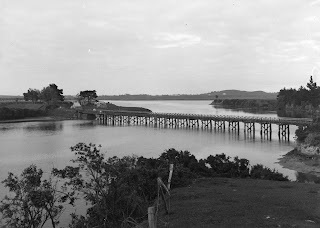 Panmure Swing Bridge, also known as the Tamaki River Bridge (which is actually the third bridge in this location), was constructed in 1864-1865. It had 18 fixed spans and one swinging section that could be opened to let ships pass. After closing in 1916, the main surviving components are a stone abutment, the turning mechanism and the swinging section. These remains are protected in the legacy Manukau City District Plan (Id no: 64, p.29)and Regional Plan: Coastal (Id no: 136, p.336), as well as under the Historic Places Act as an archaeological site. Specialist contractors are cleaning the historic metal and timber materials and applying coatings to reduce the rate at which they rust and rot. The stonework is also being re-pointed with a lime and sand mortar to keep it ship shape for many more generations. The water main is the Hunua No 2 main and it is on the extant bridge, not the swing bridge. The hand winch stand was still on the bridge until the building was placed on it - does it still survive? Many thanks for your comment Garry, I have updated the photo accordingly. 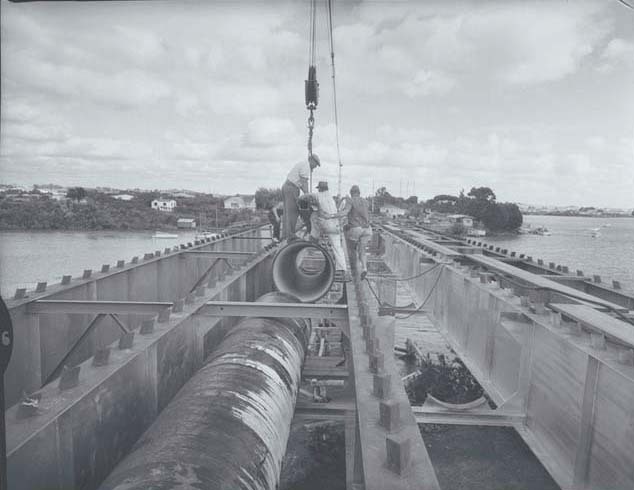 The ‘Panmure Swing Bridge, Condition Report On Remaining 1866 Swing Structure’ prepared by Matthews & Matthews Architects Ltd, 31 March 2009, notes that the hand winch stand was still in place, so as far as we are aware, this is the case.